M. Cristina Borges. Of Bells and Cells. Illustrated by Michaela Harrison. N.p. : St. Bonosa Books, 2014. 44 pp., paper. List: $13.50. Purchase at Amazon.com. Maria Montessori. The Mass Explained to Children. [Unaltered reprint of the original publication from Sheed & Ward, 1933.] Foreword by Rev. Matthew A. Delaney. Kettering, OH: Angelico Press, 2015. i + 88 pp., paper. $9.95. Purchase at Amazon.com. As parents know, the work of educating children in the Faith starts at the very beginning and never really ends. It might end formally when they leave for college or move out of the home, but that's still a good 17 to 20 years' worth of education. Those crucial years should be marked by exposure to good (as in: beautiful and reverent) liturgy, an introduction to orthodox theology, and an initiation into traditional spirituality. What I've seen in homeschooling families is that formation in the faith is happening more or less all the time, and this is a large part of the reason why the boys and girls know their faith, love it, practice it, and run circles around their peers. You simply can't put students with an otherwise secular mentality in a religion class for an hour a week and expect them to get anything out of it. But parents, like all educators, need good resources to lean on. We can't be making everything up as we go along. After decades of relative drought, it is heartening to be witnessing a downpour of solid, traditionally Catholic books being published for children. Some of these have already been reviewed here at NLM (see here, here, and here). Recently I received two more that I can highly recommend to our readers. The first is M. Cristina Borges' Of Bells and Cells. This book endeavors to present vocational discernment, religious life, and priesthood to small children in a way that they will understand, but without cutting corners, dumbing down the truth, or lessening the radical nature of the calling. Indeed, her strategy seems to be very much that of Pope Benedict XVI, namely, to present the reality in all its demanding grandeur precisely because this is when we can see most clearly how wonderful a gift it is, how worthy of Our Lord, and how appropriate to His holy Church. I do not know exactly which sources Borges is drawing upon, but her theology of vocation is both traditional and profound, yet clearly and simply expressed. She emphasizes the universal call to holiness while underlining the unique conformity to Christ present in religious vows and the priestly character. Borges devotes several fine pages to the three evangelical counsels, which she explains with admirable simplicity but without the slightest hint of that wishy-washy embarrassment so typical of modern discussions of poverty, chastity, and obedience. In this book, the vows are presented as the ways in which men and women make a total gift of themselves to the Lord, rely completely on Him, surrender all to Him, and emulate, as perfectly as they can, His life and virtues. (Indeed, I cannot help thinking that this children's book would make a better introduction to the subject than many highschool and college texts out there.) I also appreciated her entering into how religious life is structured, its daily round, the steps of entering and making vows, the taking of a new name, the rationale behind wearing the habit (some of the best pages of the book! ), the differences between religious orders, and the active and contemplative lives. The portion of the book dedicated to the priesthood is equally luminous and inspiring. Once again, the fact that the author is willing to explain things like the difference between a secular/diocesan priest and a religious priest, why the clergy wear black (and, in particular, the cassock), how the priest is made "another Christ" through ordination such that he can then offer the Holy Sacrifice of the Mass and forgive sins, sets this book in a class by itself. An appendix contains brief accounts of the Benedictines, Carmelites, Carthusians, Conceptionists, Dominicans, Franciscans, Poor Clares, Missionaries of Charity, Redemptorists, Little Sisters of the Poor, and Jesuits, to give children some basic information about their founders, most famous saints, and characteristics. This is an especially nice touch, because it helps children to start thinking about how God has provided many different "realizations" of the Gospel and raised up many different kinds of saints who are all living out the baptismal vocation of holiness. Turning to the reprint of a 1933 classic, The Mass Explained to Children, I doubt that Maria Montessori needs an introduction to readers here. This book saw many printings in the days before the auto-demolition of the Church, and we owe Angelico Press a debt of gratitude for reprinting it as a handsome and affordable paperback, now that so many in the Church are worshiping once again in the classical Roman Rite, for which Montessori obviously wrote this and all her other books on the liturgy. In its pages we find Montessori's remarkable gift for explaining objects, movements, texts, and other signs to children in a way they can relate to, bolstered by her conviction that children have a capacity for wonder, symbolism, and sacred action that most adult educators leave entirely untapped. Montessori explains in her Preface that this book is not meant to be used at Mass, but before Mass, to help prepare children to understand what they will be seeing and hearing and doing. It serves that catechetical purpose admirably. It strikes me as an ideal religion text for somewhere in the grammar school years, depending on the aptitude of a given child. Again, I have placed a few photos below to give a better sense of it. Look at the text: it's amazing how far we have fallen away from the sense of reverence! Written in 1933, this deep reverence for the priesthood became almost unknown after the Council. Note how Montessori lovingly explains the details rather than demanding their simplification. The holding together of the fingers is connected with the awesome mystery on the altar. Peter Kwasniewski just published a notice and review of “The Holy Eucharist—The World’s Salvation. Studies on the Holy Sacrifice of the Mass, its Celebration, and its Concelebration,” by Fr. 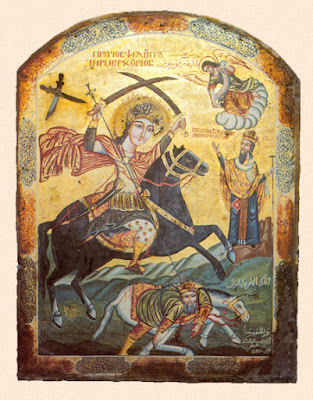 Joseph de Sainte Marie OCD. This is the long-awaited translation of a work originally published over thirty years ago, not long before the author’s death, which Peter describes as “the most important book ever to appear in English on the subject of concelebration.” It appears in this new edition from Gracewing Publishers with a foreword by Dom Alcuin Reid, OSB, entitled “Concelebration Today, Yesterday and Tomorrow”. 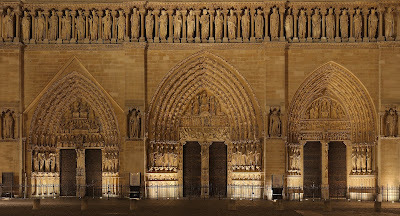 We here reproduce the final section, Concelebration Tomorrow, with the kind permission of Dom Alcuin and Gracewing. Each Mass, being the very sacrifice of Christ, the one redemptive sacrifice of Calvary, has an infinite value. 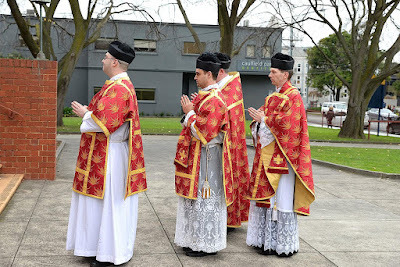 Each Mass is an act of the entire Church; for, she is present there both in Christ, Who offers Himself for her as her Head, and in the priest, who represents her, and prays for her and in her name… It is this which establishes the value of Masses said ‘privately,’ that is, those celebrated by a priest in the absence of any assistants: each Mass pours the redemptive Blood of Christ upon the Church and the whole world. While each Mass has in itself an infinite value, the dispositions of men for receiving its fruits are always imperfect and in this sense limited. For this reason the number of celebrations of the Mass is so important for multiplying the fruits of salvation. If he is right – both historically and theologically – it is high time that we look again at the practice of concelebration as it has become today. Before it is asserted that ‘universal concelebration’ is now customary, let us remember Saint Cyprian of Carthage’s adage, consuetudo sine veritate vetustas erroris est (custom without truth is simply error grown old. Letter to Pompeius, 73/9). Before this error grows too old, it is necessary to revisit it with theological, historical and liturgical truth. This The Holy Eucharist – The World’s Salvation most certainly does. 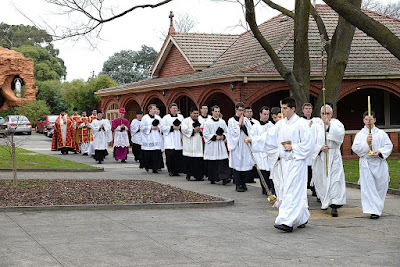 Since its original publication there has been much talk of a “reform of the liturgical reform,” and of a “new liturgical movement.” That the practice of concelebration be reviewed in the light of the abuses to which it has given rise and which the Fathers of the Second Vatican Council most certainly could not have imagined they were authorising – most especially large-scale concelebrations which situate priests at great distances from the altar, and the indignity and indecorous behaviours in priests which such events often bring forth – is surely an important element of such liturgical renewal. In such a review competent authority may wish to consider the implications of the erroneous historical assumptions in article 57 § 1 of Sacrosanctum Concilium. Experience of concelebration since the Council, and theological arguments such as those of Father de Sainte-Marie, might even suggest a prudent restriction of its practice in the future. 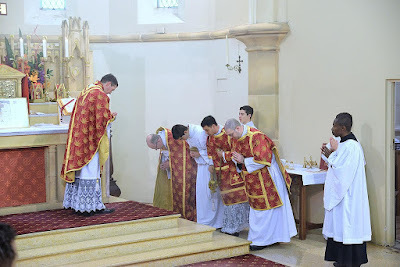 Formation “in the spirit and power of the liturgy” itself, and specifically on why and how priests can and should offer Mass privately and on how they can assist at Mass when not concelebrating, would seem urgently to be necessary in many places. 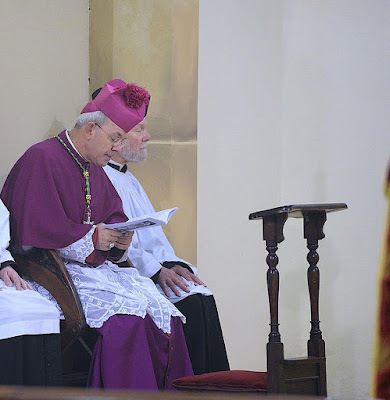 It may even be appropriate for the competent authority to modify the rite of the ordination of priests and the blessing of abbots in the Pontificale of the usus antiquior of the Roman rite to ensure sacramental concelebration on those occasions. Let concelebration in the Roman rite tomorrow be what the Council truly intended: an occasional, edifying and dignified rite by modest or at least manageable numbers of priests. 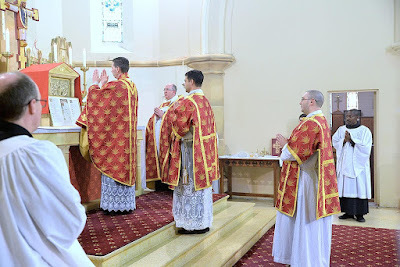 And let the Church of today and tomorrow continue to benefit from more and more devout and, where necessary, individual celebrations of Holy Mass – something the Second Vatican Council never intended to abolish – for the Holy Eucharist is indeed the world’s salvation. Joseph de Sainte-Marie, OCD. The Holy Eucharist—The World’s Salvation. Studies on the Holy Sacrifice of the Mass, its Celebration, and its Concelebration. 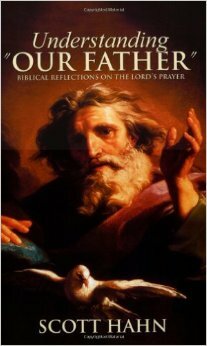 With a Foreword by Dom Alcuin Reid, OSB. Leominster: Gracewing, 2015. xxxix + 557 pp. Available from Amazon (USA $40, UK £25, Germany €38) or the publisher. Fr. Joseph de Sainte-Marie (1931–1985), a professor and specialist in Carmelite spirituality at the Pontifical Theological Faculty ‘Teresianum’ in Rome, published this substantial collection of his writings in 1982, only a few years before his death. One may regret that it has taken over 30 years for an English translation to appear — or better, one may rejoice that it has finally come out for the benefit of those who do not read French. Lest a nearly 600-page tome prompt any dismay, I hasten to repeat that this is a gathering together of a dozen finely-chiseled essays on the Mass and the Holy Eucharist, with special attention to concelebration. Most of the essays could be read in one sitting; the lovely style of writing and the vigorous argumentation make the book hard to put down once begun! While this book contains eloquent essays on the Mass as a true and proper sacrifice, the sacramental system, and the relationship of sacrifice and banquet, far the greater part of its bulk is given over to a careful, systematic, and exhaustive study of concelebration under every aspect — historical, liturgical, theological, pastoral, magisterial. For example, Fr. Joseph de Sainte-Marie provides a detailed synopsis of the elements of the question as they make their appearance in the ancient and medieval periods down through the twentieth century Liturgical Movement and into the Second Vatican Council; he sifts all the pertinent texts of and interventions at the Council to establish just what was being proposed, debated, changed, agreed to, and subsequently applied or misapplied; he compares and contrasts Eastern and Western practices; he patiently gathers evidence to show the ways in which agenda-driven reasoning and sleight-of-hand were employed to put across a novel reinterpretation of concelebration and to ensure its enforcement. The author reaches many important conclusions in this work of highly readable scholarship. Among the more immediately practical conclusions are: (1) although concelebration is licit and occasionally opportune, particularly when the presbyterate is led in worship by the bishop, it was never historically, and should not now be, the normal or default mode of offering the Mass; (2) much of our contemporary theory and praxis are based on a fundamentally flawed concept of what concelebration historically was—a flaw that found its way into the Council debates and subsequent implementation; (3) in either sacramental or ceremonial concelebration, no differently than in a ‘private’ Mass, one sole Mass is offered to God; (4) because “each Mass pours the redemptive Blood of Christ upon the Church and the whole world,” the Church and the world benefit from a multiplication of Masses and suffer loss from their reduction; (5) it can be demonstrated from documents of Tradition and of the Magisterium that the Church herself greatly desires that Masses be thus multiplied; (6) habitual reliance on or presumed choice of concelebration constitutes a genuine liturgical abuse. These statements are, of course, conclusions, and therefore they must emerge from valid argumentation based on thoroughly evaluated evidence. Fr. Joseph de Sainte-Marie takes nothing for granted and establishes each of these conclusions with rigorous research and argumentation that goes far beyond anything I have seen when reading on this question. It is an exhilarating, sometimes distressing, and always enlightening work, one that is written by a priest who is deeply in love with our Lord Jesus Christ in the most Blessed Sacrament of the Altar. Indeed, he makes it clear that his motivation for the painstaking work that went into his studies is a desire to give glory to God and sanctify souls through the sacrifice of the Mass, coupled with an anxiety (quite legitimate, as anyone who takes up the book will discover) that leaders in the Church had been both deceiving and deceived as they walked down a path of innovation, inversion, and incoherence. Let me sum up my enthusiasm for The Holy Eucharist—The World’s Salvation: if you have any interest at all in the question of concelebration or in the manner of its current practice in the Latin Rite, you would do yourself an immense favor to get this book and read, for starters, the Foreword by Dom Alcuin Reid (pp. xvii–xxxix) and chapter 1 by the author (pp. 3–27). As you find yourself brought to a greater depth of awareness of the issues, an appropriate subtlety of discernment, and a new strength of practical judgment, you will wonder how we managed to get anywhere before this book was in our hands. 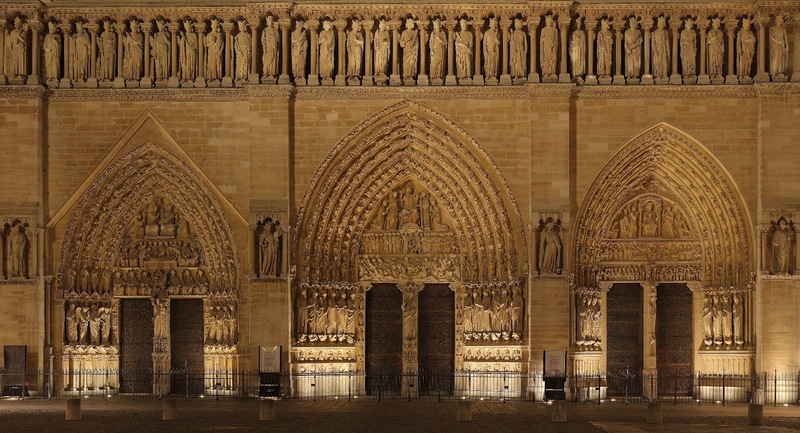 Having given much thought to this matter (see "The Loss of Graces: Private Masses and Concelebration" in Resurgent in the Midst of Crisis, and the NLM article "Celebration versus Concelebration: Theological Considerations"), I was overjoyed to find in Fr. Joseph de Sainte-Marie an author who pursues the inquiry with an unprecedented breadth and depth. This was the first in my occasional series of Liturgical Notes for major feasts. It is here reprinted with some adjustments to the original version; I have also added a video with a recording of the famous hymn for Vespers of St John’s Day Ut queant laxis. The Birth of St. John the Baptist is one of the most ancient of all the Church’s feasts; it is mentioned several times by St. Augustine in his sermons, and in a Martyrology written around 440 A.D. and falsely attributed to St. Jerome. 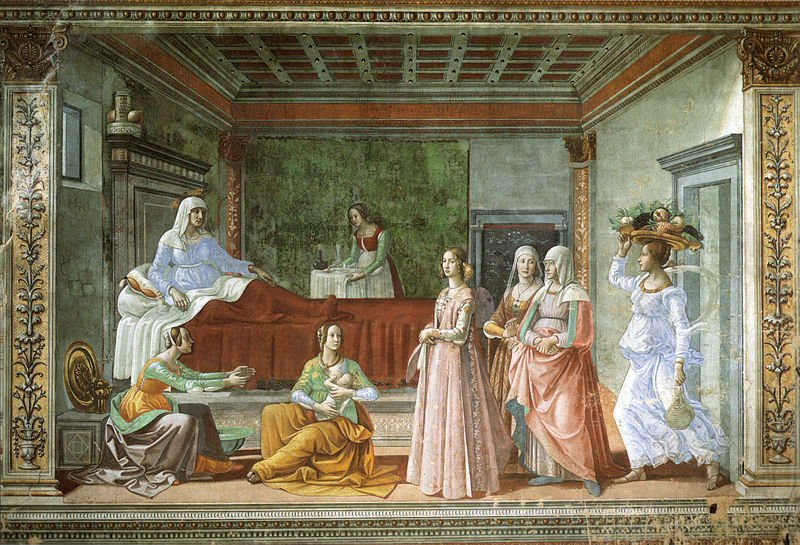 The date is determined by the words of the Gospel of St. Luke that St. John’s mother Elizabeth was six months pregnant at the time of the Annunciation (chap. 1, 36). The feast is kept on the 24th, however, where Christmas and the Annunciation are kept on the 25th of their respective months, because of a peculiar feature of the ancient Roman calendar. 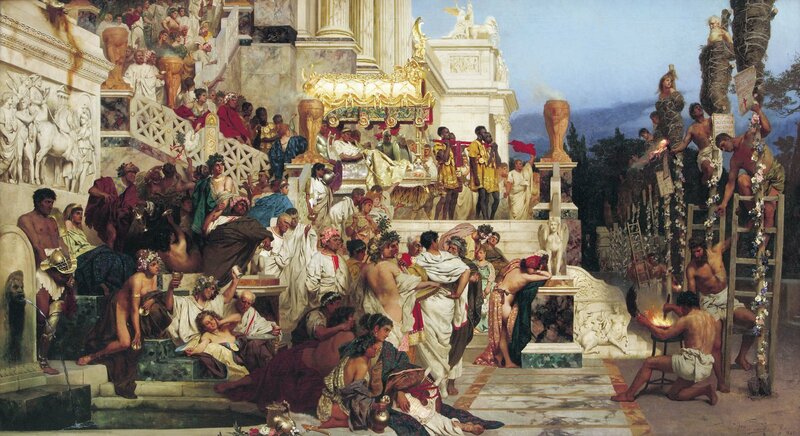 The Romans counted the days backwards from three points in each month, called the Kalends, the Nones and the Ides (“Kalendae”, “Nonae” and “Idus” in Latin). Thus Julius Caesar was killed on the Ides of March, which we call March 15th, but the Roman name for March 14th was “the day before the Ides of March”. Therefore, the birth of both the Savior and His Forerunner are kept seven days before the Kalends of the following months. The feast was formerly kept with two different Masses, one of which was to be said early in the morning, and the other after Terce. This custom gradually died out and was observed only in a very few places at the time of the Tridentine liturgical reform; the Mass in the Missal of St. Pius V is the second of these two. St. Augustine notes that John the Baptist is the only Saint whose birth the Church celebrates apart from that of the Savior Himself, the feast of Our Lady’s Birth having not yet been instituted in his time. This custom is observed in fulfillment of the words of the Angel Gabriel to John’s father Zachariah that “Many shall rejoice in his birth,” (Luke 1, 14) which are read on the vigil the day before. 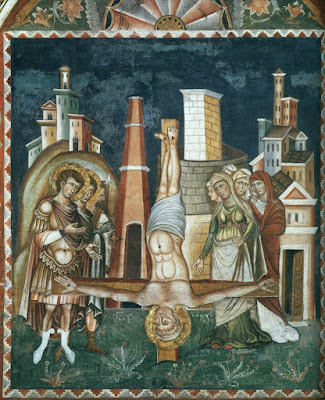 The liturgical commentator William Durandus, writing at the end of the 13th century, says that “the Church solemnizes three births, namely, those of John the Baptist, the Blessed Mary, and Christ. And indeed John was the morning-star, for just as the morning-star precedes the sun, so he preceded Christ; for he preached Him first. Mary was the dawn. The birth of Christ was the rising of the sun, because in Him the splendor of the Father appeared.” (Rationale Divinorum Officiorum, 7, 28) The feasts of the Birth of Christ and of John the Baptist are preceded by penitential vigils, Masses celebrated in violet, without the Gloria in excelsis or Alleluia, since John preached a baptism of repentance, and Christ came to call sinners, but the Virgin had no need of repentance, and so the feast of Her birth has no vigil. Many popular customs are attached to this feast. Durandus notes that it was a custom in places to make bonfires of the bones of animals, to drive away evil influences (such as dragons!) that were believed to pollute the waters in summertime, a custom which he is astute enough to note was inherited “from the gentiles”. But he also notes that bones were burned to commemorate the fact that the bones of John the Baptist were burnt “in the city of Sebaste.” (Rationale 7, 14) In point of fact, to this day, the city of Genoa preserves in its cathedral relics that are venerated as the ashes of St. John the Baptist, the tradition being that the bones were deliberately burnt to make the relics easier to transport and hide from iconoclasts. As any good medieval liturgist would, Durandus also sees in this custom an allegory of the passing of the Old Law and the coming of the New, noting that torches were also made of the bones to symbolize that John was “the light, the lantern that burned and preceded, the forerunner of the true light that enlighteneth every man.” A vestige of this custom is preserved in the Rituale Romanum of Pope Paul V, which provides for a blessing of a fire on the eve of St. John. The six notes of the original scale are named for the syllables at the beginning of each half-line, each such syllable occurring on a higher note than the one preceding. The names of the notes were thus originally, “ut – re – mi – fa – sol – la”; the scale was later increased to seven notes with the addition of “si”, from “Sancte Ioannes”. In Italian, “ut” was changed to “do” to make it easier to pronounce and sing, since words do not end in hard consonants in Italian, and “si” was changed to “ti” in the English-speaking word in the 19th century. So that these thy servants can, with all their voice, sing thy wondrous deeds, clean the blemish of our spotted lips, O Saint John! The Birth of John the Baptist, by Domenico Ghirlandaio, in the Tornabuoni Chapel of Santa Maria Novella, the Dominican parish in Florence, 1485-1490. 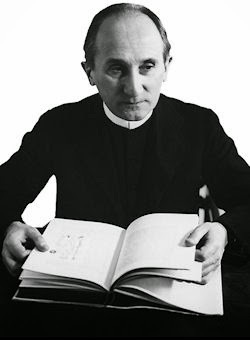 Two weeks ago we saw how masterfully Guardini spoke of the objectivity, preeminence, and emotional restraint of the sacred liturgy as the Church’s public prayer, and how tradition has bestowed on it a peculiarly balanced, well-rounded expression of the fullness of truth and integrity of doctrine, as well as how liturgy eagerly draws upon culture to enrich and elevate this expression. In this book, Guardini helps us to see the Mass as the crown jewel of the liturgical “work” of Christ, who works through His Mystical Body to continue our divinization through sign, symbol, and sacrament. It is the Church's supreme and ancient love affair with Christ, where He has met to court her sweetly mid-way between heaven and earth, using the tools of every lover—song, word, gesture, symbol. In this splendorous spectacle of their love, we too are invited to join. We yearn to be an active partner in this drama of “fairest love.” To do that, we must make our own the Church's liturgical love-language, taught Her by Christ, so that with all the angels and Saints we can adore God with that “fairest love” we all desire. Through liturgy, Holy Church teaches us to love God as he deserves. Let us learn from Her! Sacred Signs has been out of print for a very long time, and used copies are scarce. Since the text itself is in the public domain, I decided to produce a new edition of it, available here for $7.00. I'm pleased with the way it turned out. Now for some tastes, to show why this has been a favorite book of so many readers over the past century! But when does our littleness so come home to us as when we stand in God’s presence? He is the great God, who is today and yesterday, whose years are hundreds and thousands, who fills the place where we are, the city, the wide world, the measureless space of the starry sky, in whose eyes the universe is less than a particle of dust, all-holy, all-pure, all-righteous, infinitely high. He is so great, I so small, so small that beside him I seem hardly to exist, so wanting am I in worth and substance. One has no need to be told that God’s presence is not the place in which to stand on one’s dignity. To appear less presumptuous, to be as little and low as we feel, we sink to our knees and thus sacrifice half our height; and to satisfy our hearts still further we bow down our heads, and our diminished stature speaks to God and says, Thou art the great God; I am nothing. Therefore let not the bending of our knees be a hurried gesture, an empty form. Put meaning into it. To kneel, in the soul’s intention, is to bow down before God in deepest reverence. On entering a church, or in passing before the altar, kneel down all the way without haste or hurry, putting your heart into what you do, and let your whole attitude say, Thou art the great God. It is an act of humility, an act of truth, and every time you kneel it will do your soul good. “And I saw an angel come and stand before the altar, having a golden censer; and there was given to him much incense, and the smoke of the incense of the prayers of the saints ascended up before God from the hand of the angel.” So writes Saint John in the mysterious book of the Apocalypse. 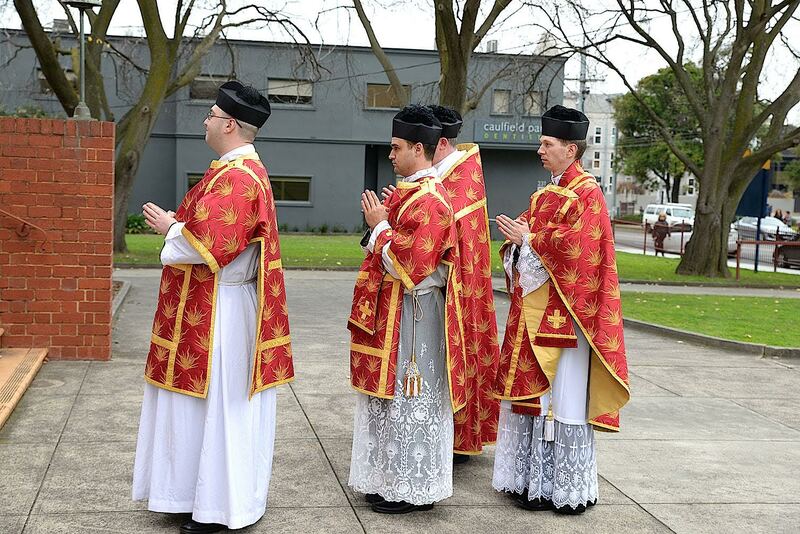 The offering of an incense is a generous and beautiful rite. The bright grains of incense are laid upon the red-hot charcoal, the censer is swung, and the fragrant smoke rises in clouds. In the rhythm and the sweetness there is a musical quality; and like music also is the entire lack of practical utility: it is a prodigal waste of precious material. It is a pouring out of unwithholding love. “When the Lord was at supper Mary brought the spikenard of great price and poured it over his feet and wiped them with her hair, and the house was filled with the odor of the ointment.” Narrower spirits objected. “Whereto this waste?” But the Son of God has spoken, “Let her alone. She hath done it against my burial.” Mary’s anointing was a mystery of death and love and the sweet savor of sacrifice. 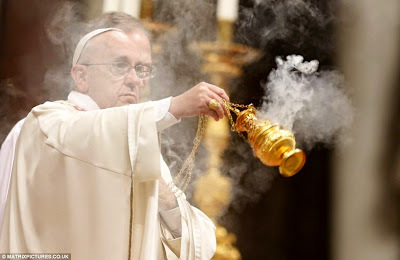 The offering of incense is like Mary’s anointing at Bethany. It is as free and objectless as beauty. It burns and is consumed like love that lasts through death. And the arid soul still takes his stand and asks the same question: What is the good of it? It is the offering of a sweet savor which Scripture itself tells us is the prayers of the Saints. Incense is the symbol of prayer. Like pure prayer it has in view no object of its own; it asks nothing for itself. It rises like the Gloria Patri at the end of a psalm in adoration and thanksgiving to God for his great glory. It is true that symbolism of this sort may lead to mere aestheticism. There are imaginations in which the fragrant clouds of incense induce a spurious religiosity; and, in such instances, when it does so, the Christian conscience does right to protest that prayer should be made in spirit and in truth. But though prayer is a plain, straight-forward business, it is not the so-much-for-so-muchness which the niggardly imagination and fleshless heart of the religious Philistine would make of it. 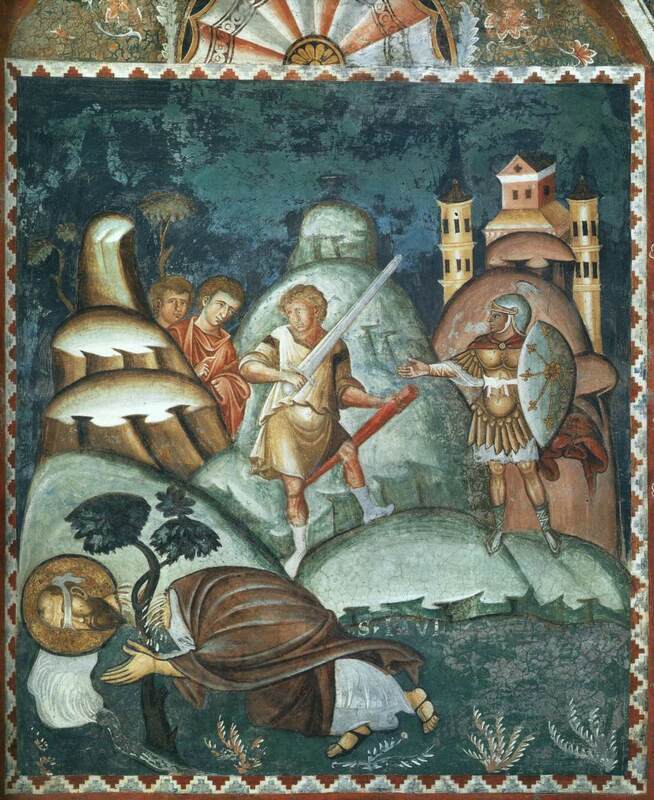 The same spirit persists that produced the objection of Judas of Kerioth. Prayer is not to be measured by its bargaining power; it is not a matter of bourgeois common sense. Minds of this order know nothing of that magnanimous prayer that seeks only to give. Prayer is a profound act of worship, that asks neither why nor wherefore. It rises like beauty, like sweetness, like love. The more there is in it of love, the more of sacrifice. And when the fire has wholly consumed the sacrifice, a sweet savor ascends. Sacred Signs. First published 1911. Trans. Grace Branham (St. Louis: Pio Decimo Press, 1956). Now available again in print, here. 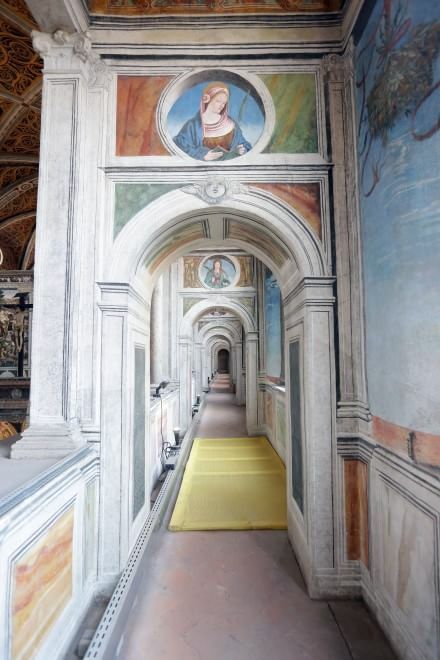 Each year on June 21st, the Jesuit church of St Ignatius in Rome opens up to the public the rooms where St Aloysius Gonzaga lived and studied while he was at the Roman College. 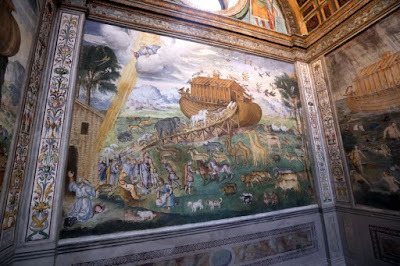 (These rooms can be visited throughout the year, and priests can say Mass in them, but an appointment must be made first.) 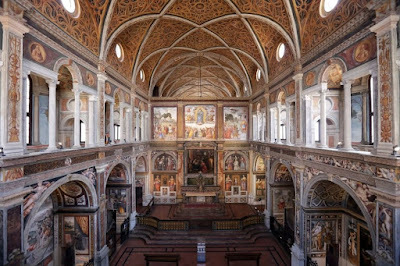 The church of St Ignatius was the first to be named for the Jesuit founder, and begun shortly after his canonization in 1622; the project was financed by Cardinal Ludovico Ludovisi, nephew to one of the College’s more prominent alumni, Pope Gregory XV. Although he reigned for only two years and five months, Pope Gregory had the honor of canonizing, at a single ceremony, Ss Ignatius, Francis Xavier, Theresa of Avila, Philip Neri, and Isidore of Madrid, generally known as Isidore the Farmer; the Romans joked at the time that the Pope had canonized four Spaniards and a Saint. 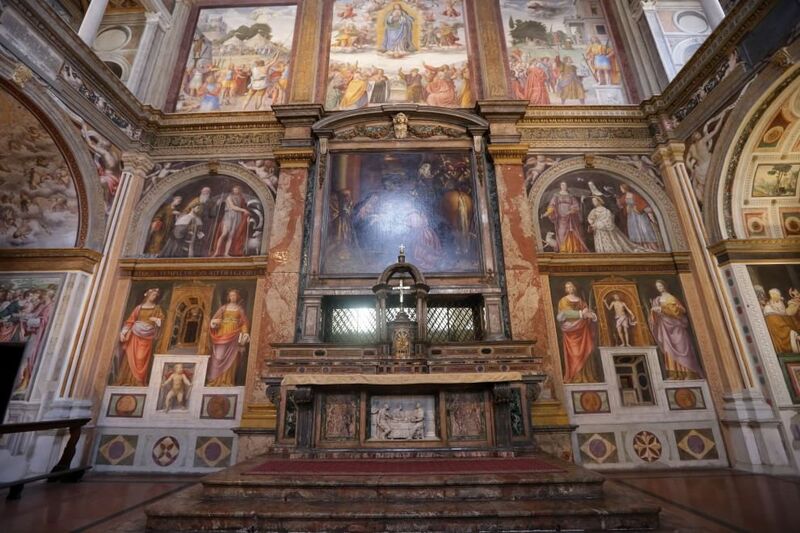 The church was not intended to receive the relics of its titular Saint, which still repose in the Order’s mother church, the Gesù, but rather to serve as the chapel for the 2,000 students enrolled in the Roman College by the beginning of the 17th century. Of the sixteen Popes who reigned from the accession of Gregory XV in 1622 to the suppression of the Society in 1773, half were alumni of the College. St Aloysius died on June 21, 1591 at the age of 23, after receiving the Last Rites from his spiritual director, St Robert Bellarmine. He had come to the Roman College to begin his studies for the priesthood after completing the novitiate at the church of St Andrew on the Quirinal Hill. 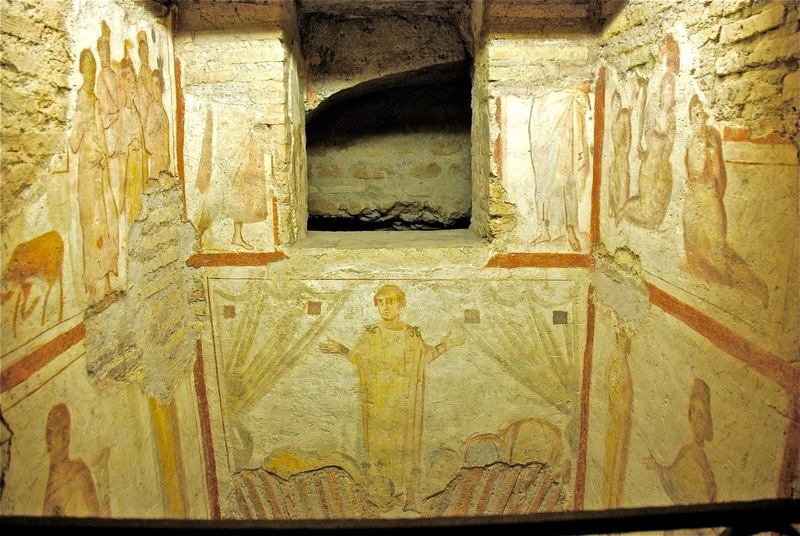 With the permission of his superiors, he was allowed to attend to those who had already recovered from the plague in one of the Roman hospitals, but wound up contracting it himself, and although he did not die immediately, was fatally weakened. Among the still-extant rooms of the Roman College which he knew were a common room with a chapel next to it, the very chapel in which he made his first vows in the Order after the novitiate, on November 25, 1587. 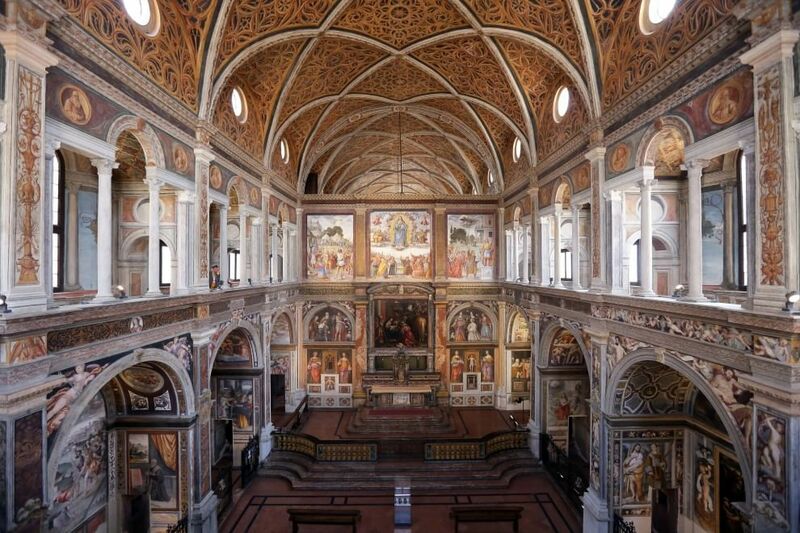 Over time the rooms have been decorated, and two more chapels built; collectively, the three are known as the “Cappellette (Little Chapels) di San Luigi.” His relics were formerly kept in one of them, but now repose in the magnificent Lancellotti chapel in the south transept of St Ignatius. Another of the cappellette formerly housed the relics of another youthful Jesuit saint, John Berchmans, but he has also been moved into the main church, opposite St Aloysius in the north transept. 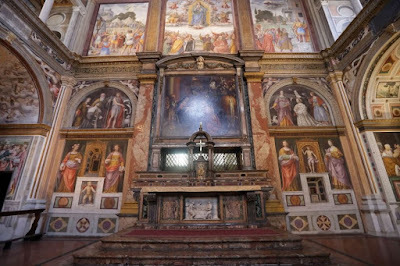 The altar of the Lancellotti Chapel, containing the relics of St Aloysius. The courtyard of the Roman College, seen from the roof of the church of St Ignatius. The rooms of St Aloysius and the cappellette are within the lighter-colored part of the building in the upper right of this photograph. With the fall of the Papal State in 1870, the Roman College was seized from the Jesuits by the Italian government and transformed into a public high school. The bell-tower of the Roman College and the observatory. The Jesuit Fr Angelo Secchi, one of the greatest scientists of the 19th century, and the discoverer of astronomic spectroscopy, worked in and ran this observatory during his long and illustrious career; craters on both the Moon and Mars are named after him. During the Roman Republic of 1849, when the Papal government was temporarily overthrown, the Jesuits were forced to leave the city; the Roman College was occupied, and the capellette were badly damaged, as the inscription above notes, “by the fraud and crime of enemies”. Much of the painting in the rooms today dates from a restoration of 1860, such as this image of St Aloysius making a vow of virginity when he was only 9 years old. The entrance to the Saint’s room, now transformed into a chapel. The relics of St Aloysius were formerly kept within this altar in the chapel. The term, "religious experience" is an oft-used expression in some quarters of our society, usually reserved for some performance or event that is moving to a person or group. It might be an "experience," but the chances of it having anything to do with religion are remote. The term, however, could be aptly and justly applied to that which happened in New York City at the closing Mass of the Sacra Liturgia conference recently. Bringing together many great speakers on the liturgy during the four-day event, the conference opened with Pontifical Vespers in the presence of Raymond Leo Cardinal Burke on Monday, and had Masses close each day, both in the Extraordinary and Ordinary Forms. All were prayerful experiences and can be categorized as triumphs, giving the Triune God the worship He deserves with the ceremonies, music and vestments that are the best the Catholic Church could offer. But these were not performances, nor events. They were the liturgical worship of the Church in the light and guidance of Tradition. 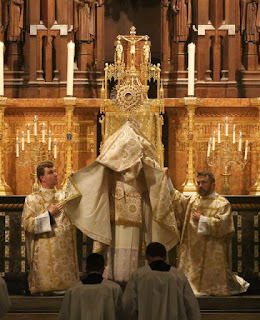 Nowhere was that more evident than Extraordinary Form Pontifical Mass for the Feast of Corpus Christi, celebrated by Chicago's Auxiliary Bishop, the Most Rev. Joseph Perry in the host church of the conference, St. Catherine of Siena. The Mass was everything one could expect from the ancient rites, but it was what followed that put this particular occasion in a very special category. The procession moves up 66th Street. 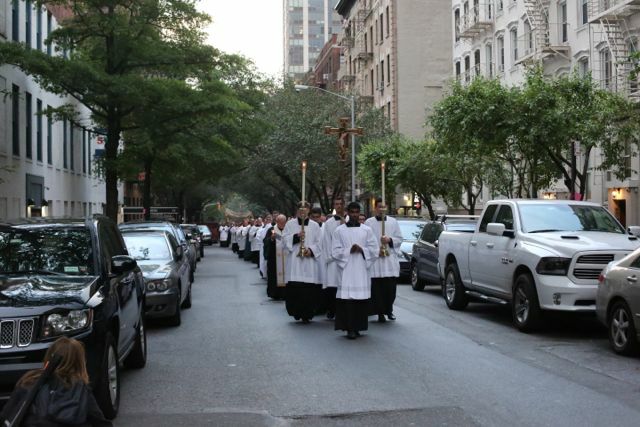 The procession through the streets of New York from St. Catherine's to a station at St. John Nepomucene to the ultimate destination of the great Church of St. Vincent Ferrer was something few will forget. The short walk from St. Catherine's to St. John's -- only two blocks -- set the tone for the rest of the procession. As it came up the street, accompanied by a detail of the NYPD, hardened New Yorkers seemed to be softened by what they saw. Non-Catholics questioned the line of people, and upon hearing had a respect that was palpable. Catholic bystanders, reminded of Corpus Christi, knew immediately what was happening, some remembering processions in their youth. But it was the respect that sticks out in the minds of all who participated. Pedestrians stopped, motorists slowed. All showed deference to the procession and the expression of religious belief they saw. "There are some here at this Mass who were part of the procession: choir, altar servers, musicians, priests, members of the Knights of Malta, lay men and women. There were over 125 priests and seminarians in cassock and surplice, and at least that number of laity, and Bishop Perry from Chicago carrying Our Lord in the monstrance. Everyone who was part of this procession agrees that it is something that each of us will never forget. The New York police blocked off the streets of our route: 1st Avenue, then 2nd Avenue, then 3rd Avenue, then the long stretch of 66th Street as we made our way to St. Vincent Ferrer. The New Yorkers along the way stopped in their tracks, some took photographs, but all were respectful." "As the procession crossed Third Avenue on 66th Street to approach St. Vincent's, the large choir in the procession began Fr. Faber's Eucharistic hymn, "Jesus My Lord, My God, My All." Everyone in the procession joined in: "Sweet Sacrament, we thee adore, O make us love thee more and more." And the sound bounced and reverberated from the stone apartment buildings flanking the street, filling the air with this soundful song of praise, as the voices of nearly 300 Catholics of faith filled the air. We processed into the Church of St. Vincent Ferrer, the high altar ablaze with candles, and Bishop Perry from the magnificent altar gave Benediction to the Blessed Sacrament to the crowd assembled there." Personally, it was a moment that had me awe-struck. But, I wasn't the only one. One of the New York policemen was standing next to me, reviewing the procession, the crowd, the echoing hymn and the reaction of the New Yorkers happening on the sight and was genuinely moved. "Do you realize the peace you've brought to this area?" he asked me. He may or may not have been Catholic, but he knew something was happening, and it was good. A friend of mine who was part of the choir had his own reaction. He is not one to suffer fools gladly, nor make overly effusive observations. This was different. Commenting on it the next day he wrote in an email: "The procession was magical. We clearly need more of these...it almost felt like this 'New Evangelization' that everyone speaks about." Indeed, it was magical in the sense that hundreds of Catholics took part in an expression of our beliefs, and especially our belief in the Real Presence. That Presence had much to do, I think, with the reaction we saw from passers-by. It was an act of witness with no apologies to the modern world that sees these things as relics of a past it would sooner forget. My friend was right. We need more of these. It was a "religious experience" of the first order. Peter Kwasniewski just published a review here on NLM of Dr Michael Foley’s new book Drinking with the Saints: The Sinner’s Guide to a Holy Happy Hour (Regnery, 2015). Prof. Foley was kind enough to share some excerpts with us. Thanks be to God, only the occasional cocktail has a salacious name that is an embarrassment to utter in front of a blind date or your parish priest. Most cocktail monikers are innocuous, and some are even “hagionomic,” that is, derived from the names of Catholic Saints. Granted, most of these hagionyms are actually “hagiotoponyms,” inspired not the Saint himself, but by a place bearing a his name, like San Diego in California or St. Cloud in Minnesota. (And yes, there will be a quiz on these words later, but only after you have had a couple of rounds to make things interesting.) Like the householder in the Gospel who bringeth forth out of his treasure new things and old (Mt. 13:52), we turn to four venerable saintly cocktails, followed by four new creations invented for Drinking With the Saints: The Sinners’ Guide to a Holy Happy Hour. The San Francisco Bay was named after St. Francis of Assisi by a Franciscan friar in 1595, but the adjacent settlement was first called Yerba Buena on account of the abundant mint that grew in the area. It was an American naval officer, Commodore John Sloat who, after capturing the city in 1846 during the Mexican-American War, renamed it for its mission, San Francisco de Asís de Dolores, St. Francis of Assisi of the Sorrows. The San Francisco cocktail is a pleasant dessert drink that has a good balance of flavors and a brilliant vermillion hue. Its key ingredient is sloe gin, a sweet liqueur made from sloeberry or blackthorn plum. Pour ingredients into shaker with ice and shake forty times. Strain into a cocktail glass and garnish with cherry. St. Tropez is a posh town on the French Riviera named after its most famous deceased inhabitant, Saint Torpes of Pisa (d. 65), an attendant of the Emperor Nero who was converted by St. Paul and subsequently decapitated. According to legend, his headless body was placed in a boat which drifted to the current location of the town. There are a couple of different cocktails named after his final resting place; the one we include here uses red Dubonnet, a wine made especially for mixed drinks. Build in an old fashioned glass filled with crushed ice and stir until cold. If you ever bet your soul that the City of the Angels is named after the Angels, you will find yourself among the demons. 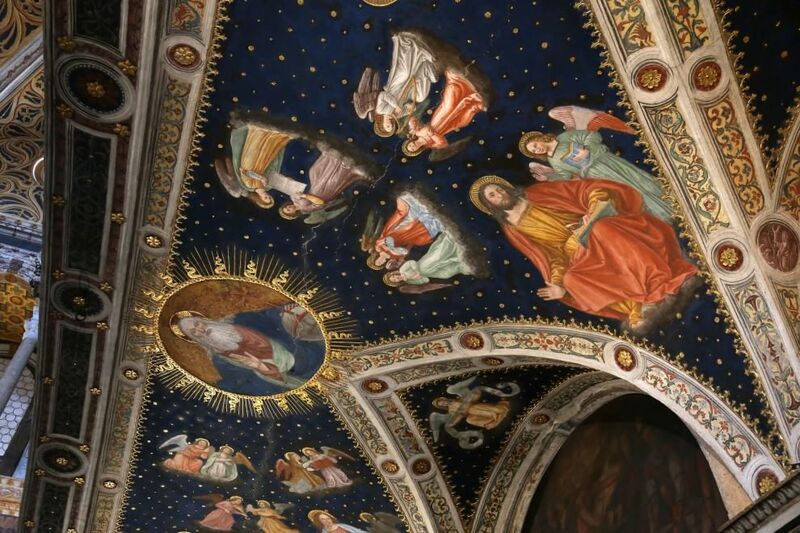 Los Angeles, California, was originally called The Pueblo of Our Lady Queen of the Angels of Portiuncula and is therefore named after the Blessed Virgin Mary, not the celestial messengers. The Los Angeles cocktail is as old-school as they come. Some drinks call for egg white, others egg yolk, but this one takes everything but the shell. Pour all ingredients into a shaker with ice and shake forty times. Strain into a cocktail glass. Is it possible that the Puritans’ shining city on a hill is named after a (gulp!) papist hero? It is indeed. St. Botolph was a wise and holy Benedictine abbot who was popular in medieval England: seventy churches and five towns and villages in that country (one of which, in Lincolnshire, was the original home of the Pilgrims) still bear his name. These municipal centers were named Botolphstown, a name that over time was contracted to “Botolphston,” then “Botoston,” and eventually “Boston.” There is a Botolph Street in downtown Boston that serves as a small reminder of this ancient connection. The Boston Club Cocktail is a refreshing drink consisting of gin, fresh lime juice, and sweet vermouth.